Despite what some people might think, email marketing is not on its way out the door. In fact, it’s here to stay. Even though email is certainly not dead, it’s getting more difficult to do it well. And sending out a newsletter that no one opens or reads is, in many ways, worse than not sending one out at all. The best email marketer in the world can craft the best content for your newsletter, but it becomes pointless the minute that email goes to the trash or spam folder. One of the best ways to track your email marketing’s effectiveness is through your open rate. If you want to keep your customer’s interested and stand out in a crowded inbox, here are 10 tricks to dramatically increase your email open rate. One quick note before we get started: A good open rate is somewhat subjective. It will depend on how often you send emails, your list size, and your industry, however the average currently sits around 25%. Your industry in particular plays a big role in your open rates, so make sure you’re aiming for a reasonable open rate for your type of business when trying to increase email open rates. As the digital marketing landscape continues to change, here are 10 ways to make sure your mail marketing doesn’t become obsolete. With both an intriguing subject line and Buzzfeed’s signature humor, this newsletter is a winner. The subject line is the first thing the recipient sees. If there’s nothing there to grab their attention, they’re not very likely to open the email. A slightly obscure subject line or one that falls just short of telling the whole story, will pique your reader’s curiosity. Keeping the tone casual can make the reader feel more connected the sender. Wherever possible, use personalization to make the reader feel more like the email is for them in particular. You can address the email using their first name and keep the tone casual, as if writing a letter to a friend. This also applies to the sender ID. Don’t send your email from your company name, rather use the name of a person. Getting a letter from an actual person is more engaging than getting one from a business. The increase in mobile use for browsing and reading emails has been rising steadily for years. There are now more people reading emails on their phone or tablet than on desktop. Make sure your email displays correctly on a phone or tablet. Also make sure your CTAs or links lead them to a page that is equally optimized for mobile. Welcome emails which are sent only to new subscribers are a good example of a unique list criterion. Have multiple mailing lists based on different criteria. For example, have lists that are divided by age, then have others that are divided by job title or industry. You can have lists of various sizes as well, for very specific needs. Which list or lists you use will depend on the content of your email. There’s a notable drop-off before the weekend, so it’s probably best to avoid Friday. There is some data to support the best times of the day for sending emails, as well as the best day of the week, but a bit of A/B testing can help you narrow this down even more. You’ll need to send out a few email campaigns to multiple lists before you get an accurate read on when your audience is more likely to open your email, but start with the industry average and go from there. Making sure your email has clear unsubscribe options will also help you avoid the spam folder. Certain words can trigger the spam filter, and your email will end up in the spam folder, where it will probably never be seen. Avoid obvious sales words like free, buy, discount, or cash. It’s also a good idea to make sure all the recipients have definitely opted in to receiving your emails and that they have added you to their whitelist. A button for further content is also a good way to keep your newsletter simple and to the point. If you don’t have a lot of content, don’t be tempted to pad the length of your newsletter with useless information. Make sure all your content is relevant and engaging to your audience. Rather send shorter emails more frequently, making sure your content is something your audience definitely wants to read. Litmus has strong CTAs in their newsletters that go well with their streamlined content. Call to actions are an important part of marketing, but they can also add value to your content. Informative copy needs to have a point. The conclusion is usually a CTA of some sort, which can work as an incentive for readers to open future emails. According to a report by Lyris, list maintenance is the top tactic to improve the deliverability of email campaigns. It’s important to maintain the “health” of your lists. If you’re getting a lot of bounce-backs or unsubscribes, you’ll need to clean up your lists. Delete inactive emails from your lists and confirm that all your subscribers do, in fact, still want to be subscribers. Poncho’s content is humorous, simple, and interesting, making their email a joy to read. The design is a winner too. Don’t be afraid to inject a little humor into your emails. People respond well when you treat them like an individual, and companies that aren’t afraid to be seen as human form better relationships with their clients. 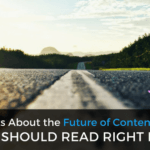 Your type of content should also vary. Incorporate animated GIFs or video into your emails to keep things interesting. It’s not unheard of for an email to be just a single informative video with no copy. Want to see Automation Agency in action? Take a video tour of our service and watch our CEO demonstrate how to send in tasks! Automation Agency can help your email marketing campaigns in a number of ways. We have lots of experience with automated email campaigns and customizing your email templates to match your brand. Get in touch today to see how we can help you streamline your email marketing to increase your open rate. We offer a range of web development and maintenance services with our concierge packages.